From a Governor General’s Award–winning author comes a heart-rending novel about end-of-life, family and children. Over the course of one Saturday night, a man and his half-sister meet at her request to spend the evening preparing for her assisted death. They drink and reminisce fondly, sadly, amusingly abouttheir lives and especially her children, both of whom have led dramatic and profoundly different lives. Extraordinary is a gentle consideration of assisted suicide, but it is also a story about siblings—about how brothers and sisters turn out so differently; about how little, in fact, turns out the way we expect. 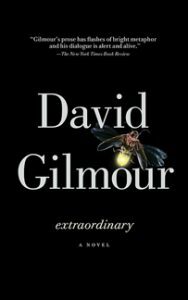 In the end, this is a novel about the extraordinary business of being alive, and it may well be David Gilmour’s very best work of fiction to date.